Tonight Gerrit van Aaken introduced his Loudblog. 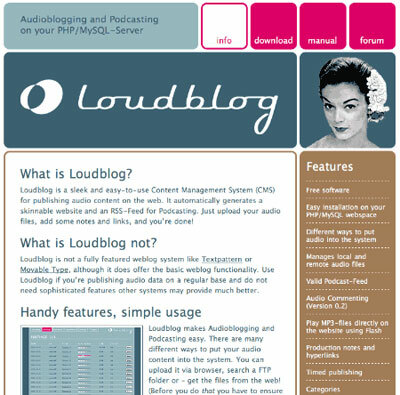 An easy to use podcasting software which is based on PHP and MySQL. Gerrit started Loudblog as his diploma project and worked on it a few months now. So you probably want to give it a try if you’re searching for a audioblogging/podcasting solution.